It doesn’t say exactly what’s going on in this photograph but it accompanied an article in Foreign Policy on the continued exodus of immigrants fleeing Cuba to the US. 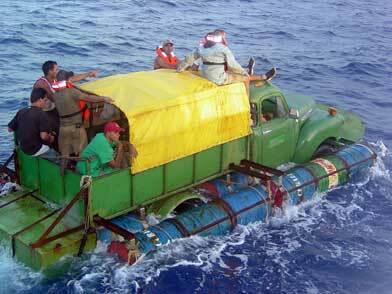 The home-made vehicle appears to be a truck-powered raft. The barrels provide floatation and the engine drives the propeller. Cool hack if it works. 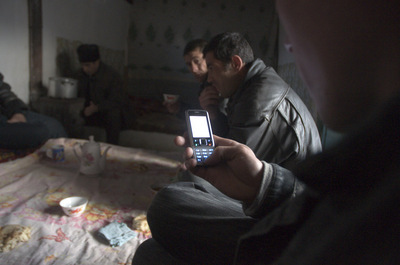 Vagabond Jan Chipchase spends most of the year traveling around remote parts of the globe figuring out how people actually use technology — particularly phones. He has noticed a new behaivor among his native hosts. If they are young, they want to borrow his phone and mine if for goodies they can copy. 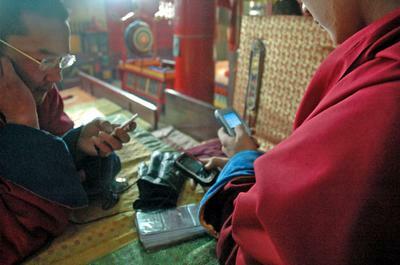 Here is Jan’s first experience in Ulan Bator, Mongolia. Wandering around UB and chance up disciples [monks] playing football in a temple complex. They invite me into the warmth for a reason – to mine the memory of my phone of all its value. Half a dozen files transferred from my device – particularly interested in obtaining photos of women from Japan. Whilst taking breakfast in a roadside hut encounter a situation … where a local kid takes my phone, switches on Bluetooth and data-mines it for music and pictures. [I] usually carry a pack of non-local gum to ease the way through customs and a myriad of social interactions. Its about time to create a decent travel pack of bluetoothable music and photos. It makes sense you’d protect an ATM like it was a bank. 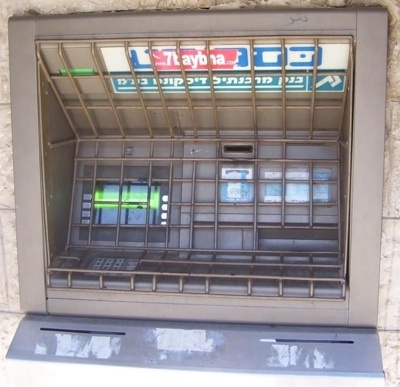 In fact why don’t all ATMs look like this one, found on Flickr? 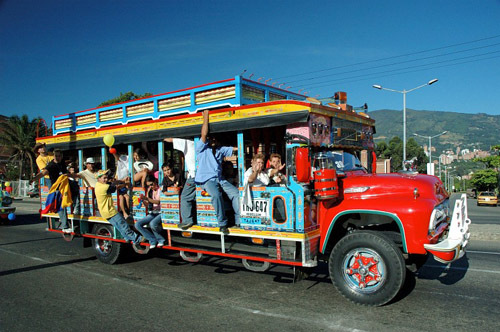 Pico are hand built sound systems erected in chiva, or local bus/truch transport, in Cartegena, Colombia. 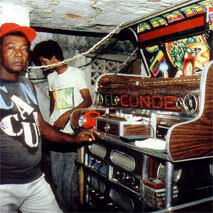 The large speakers and boom boxes are tricked out like juke boxes, and the entire brightly painted chiva becomes a music hall. I could only find a few photos (email me if you find more). Here is an abstract of a scholarly examination of the tech culture. Afro-Caribbean music plays a large role iin Cartagena, Colombia, a city with a large population of African origin. Hernandez details the ways in which the Colombian recording and broadcast industries resisted the dissemination of such music, and discusses the material practices centered around picos, locally constructed sound-systems, through which African-Colombians acquired, reproduced, disseminated, and transformed recorded diasporan musics. She notes that the black Cartageneros’ production of such music systems preceded the appearance of world beat in northern contexts by almost a decade, and traces their acknowledgment of and participation in a diasporic Afro-Caribbean identity based on musica africana.